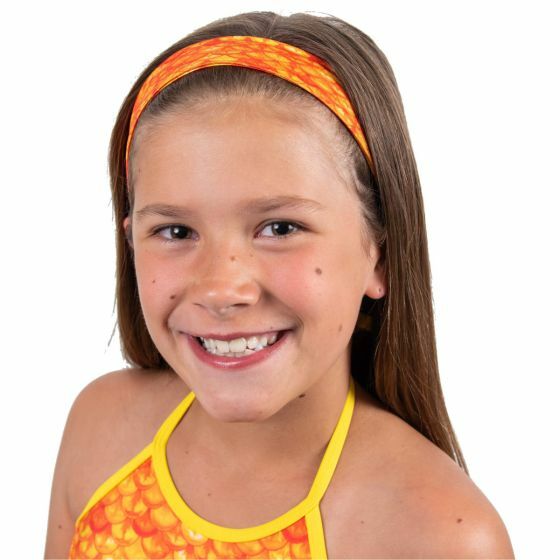 Tame your tresses with our Tropical Sunrise mermaid headband for kids featuring a non-slip grip! You’ll simply glow in this pattern of sunny yellow and deep orange scales! 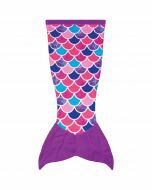 Transform into the mermaid of your dreams with our mermaid headband for girls! Featuring yellow and orange sunburst scales that flicker wildly in an exclusive Mermaidens pattern, our headbands will not only turn heads, they’ll keep mermaid hair securely in place, too! 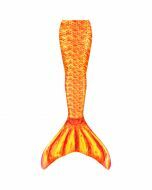 Coordinate this scale pattern with your Tropical Sunrise swimsuit set or mermaid tail for the ultimate mermaid look.